Our clients choose Redland Bay Property Management to manage their rental properties in Redland Bay, because we provide a full range of property management services, including marketing, advertising, applicant screening, rent collection, resident management, and property maintenance. As a full-service residential property management firm in Brisbane, we offer the most comprehensive and cost effective Residential Property Management Redland Bay solutions. Real Property Management is one of the industry leaders providing innovative processes and systems which are managed by a professional and well-trained staff of experienced managers, maintenance technicians, and accountants. Through our experience, our knowledge of the Redland Bay real estate market, and our excellent customer service, Real Property Management suburb provides stability and security in the often-challenging world of investment property ownership. Redland Bay is a township at the southern end of Redland City. Redland Bay is some 35 km (22 miles) south-east of Brisbane, the capital of Queensland, Australia. The township is named for the bay it sits on, which forms part of larger Moreton Bay. The Aboriginal name for the Redland Bay region was Talwalpin after the cottonwood tree which was widespread in the area. Since the first European settlers arrived in the mid-19th century, Redland Bay has remained a farming and fishing-based area until the mid-20th century when some of the farms were subdivided and improved transport infrastructure made it possible for residents to commute the 35 kilometers into Brisbane. The township has long been the port for vessels plying the bay islands. These islands include Russell Island, Macleay Island, Karragarra Island, Lamb Island and North Stradbroke Island, home to several thousand residents enjoying an idyllic, sub-tropical lifestyle. Redland Bay township was established in the mid-19th century by settlers attracted to the fertile volcanic soil and pleasant climate. The redness of Redland Bay soil derives from iron oxides present in lava from a volcano that erupted (millions of years ago) in northern New South Wales, some 100 kilometres to the south. In the two decades that followed, the decision was made by the Redland Shire Council to permit suburban development in and around Redland Bay. With land zoning changing from rural to residential, and the corresponding steep rise in rates (local government land tax), Redland Bay’s farmers found they could no longer compete with other farming areas not as close to a major metropolitan area. One by one the farms were sold to land development companies, and Redland Bay, by the year 2002 farming had all but ceased. 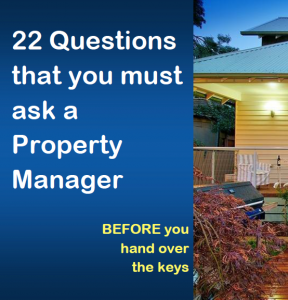 Real Property Management Australia are Redland Bay Property Management specialists.